Set in the fashionable and vibrant region of Mayfair, 17 Hertford Street offers Georgian styled apartments in the heart of London. The apartments offer free Wi-Fi, air-conditioning and a concierge service. 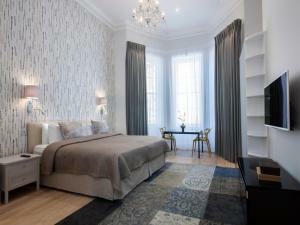 See all 17 Hertford Street reviews..